Obtain, verify and analyse vessel tracking data to improve operational performance and enhance decision making across your organisation. Build a clearer understanding of the operational and financial risks that can be predicted, avoided, and responded to thorough proper use of vessel tracking data and solutions. 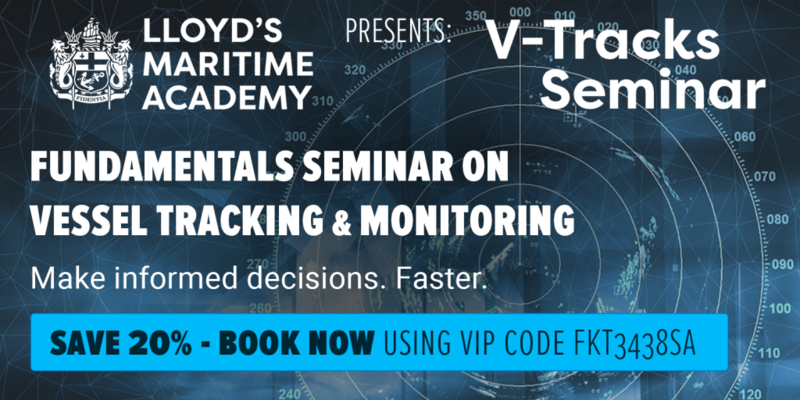 Learn whether vessel tracking data and systems you currently use are efficient or inefficient, and discover what you can do to ensure data and system reliability. Familiarise yourself with the data, tools, and methods needed to build a comprehensive understanding of the global maritime environment – and how to capitalise once you have the know-how. Acquaint yourself with the global movements that are driving a safer, secure, and efficient maritime environment, and how you can contribute to it. Use tracking and monitoring data to benchmark your performance against your competitors, and learn how to capitalise on opportunities as they present themselves.